Hello there and welcome back! 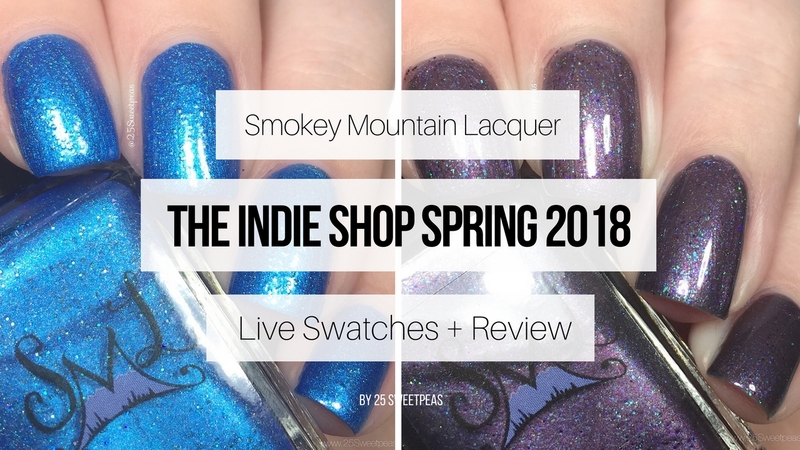 So The Indie Shop it getting closer so today I am sharing some Indie Shop Exclusive polishes and a new product that will premier at the event all from Smokey Mountain Lacquer. A caribbean blue scattered holo with added turquoise holo micro glitters. This blue it lovely, it almost has a metallic like feel to it and it scattered holo which is just lovely! The lil turquoise glitters do add a little bit of texture but nothing a coat or two of top coats won't fix. :) I really liked the formula of this I think it covered really well! A deep purple with a strong red flash, green to blue color shifting pigment and blue to purple to red chameleon glitters. So at the Indie Shop Kim will also be releasing her first lotions and here is a look at the orange one. Its really nice. It smells just like an orange and feels really nice. Its a thick creme that a little goes a long way with. Its a very soft and silky texture, and feels great on. It didn't make my hands feel greasy or oily which is super nice, it just absorbs right up and hydrates. I believe their will be other scents available too! So you are going to want to check that out if you are there because you will be able to smell them first! :) They will eventually be available online which is exciting! Here is a quick little run down of whats releasing at the show only "TIS Exclusives" , and then the ones that are labeled "New Releases" will eventually be online too! :) If you haven't already seen the In Bloom Collection you can HERE. Midnight Train to Georgia is stunning! It really is isn't it?! I want to try that lotion asap! Midnight Train to Georgia is stunning--love the sparkle! 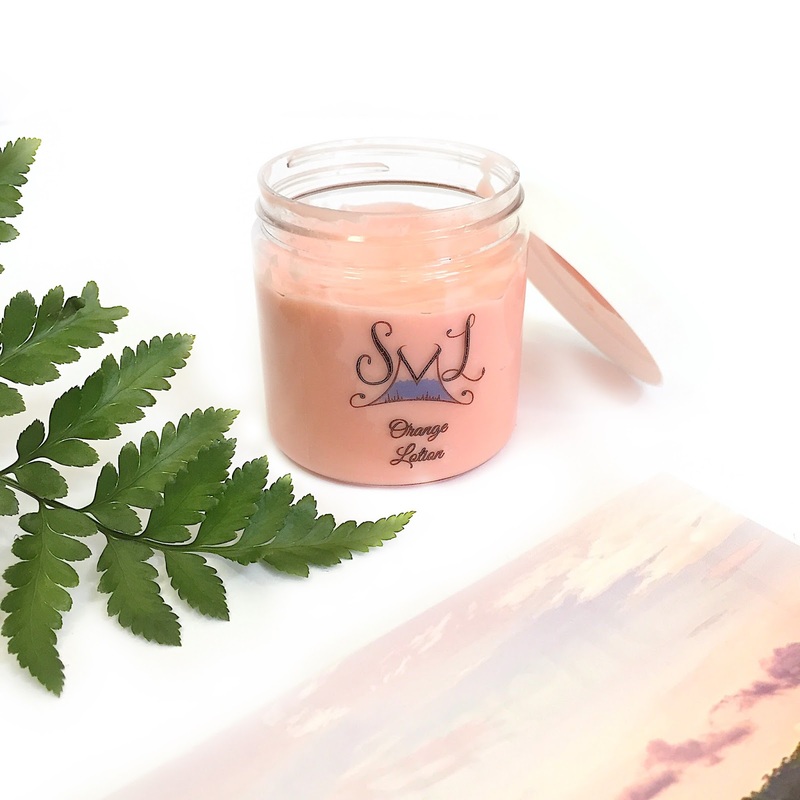 The lotion looks amazing and orange scent, yes!!! Need!!! 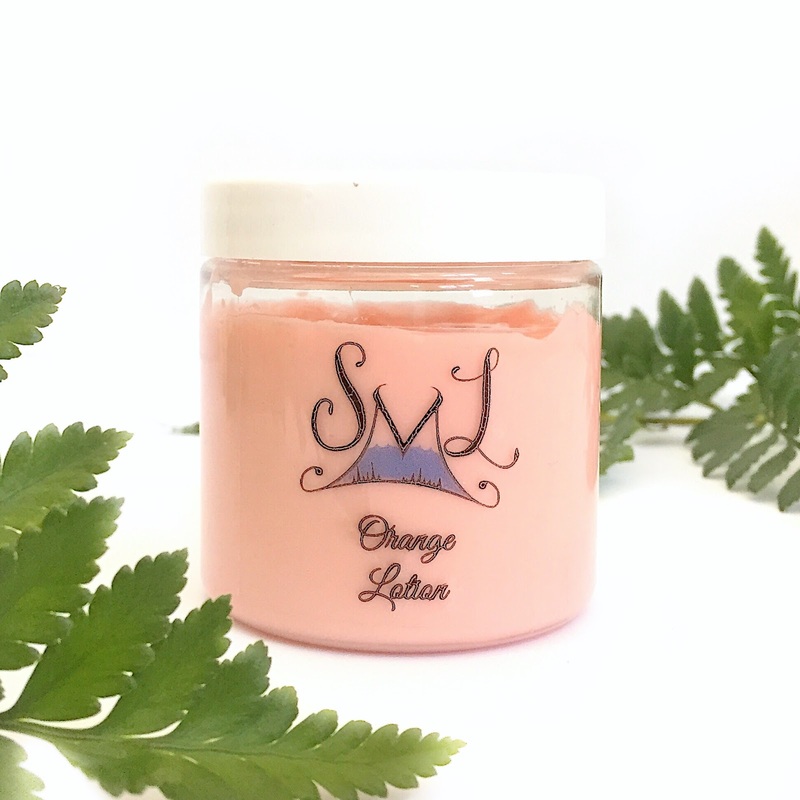 The orange lotion sounds great! The midnight train color is very pretty! I'm very curious about the lotion, especially since you mentioned it absorbs right in. I have to wash my hands so often at work I use lotion almost as if it's oxygen. I also really like Midnight Train to Georgia. I like the color of Lake Lanier but the textured look to is not sitting right with me for some reason. Great swatches! I need to get my hands on this lotion. Ohh, that lotion sounds lovely!! I love lotions that aren't greasy!